Turn your Instagram content and user generated content into shoppable galleries for your online store, and let your customers shop directly from the posts. Showcase is Instagram's missing link. Harness social engagement, drive traffic to your products, and boost conversions. 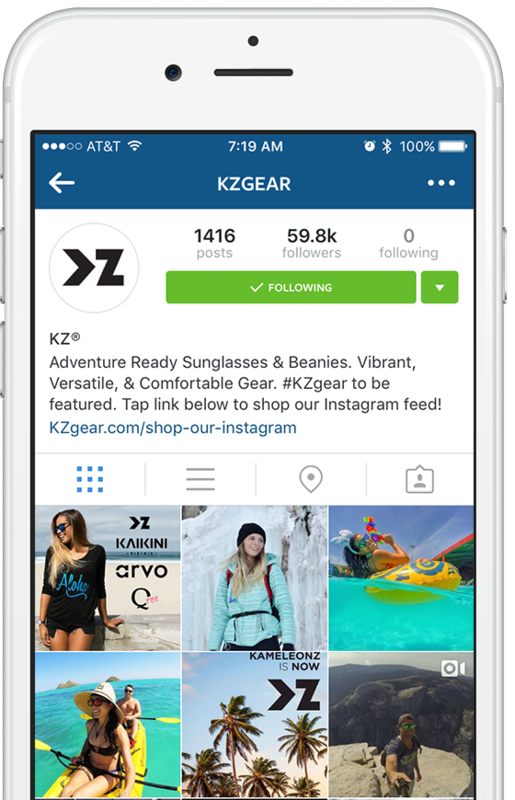 Drive engaged customers to your store by placing a link on your Instagram bio to your Showcase gallery. Your gallery provides a soft intro to your brand, a familiar interface to shop and discover new products, and provides a direct path to purchase. Once your Instagram bio link is tapped, your followers land on your site with a gorgeous, easy-to-use, shoppable gallery. Showcase galleries are an engaging, interactive, and intuitive way for your followers to shop. 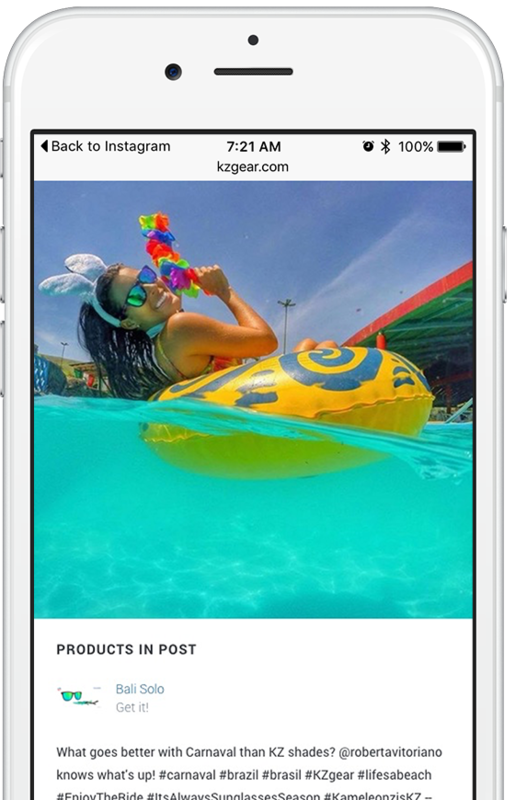 When a post is tapped, we display a gorgeous viewer which highlights the products featured in the post. Featured products link directly to their product page where customers can easily purchase, and convert from follower to buyer. 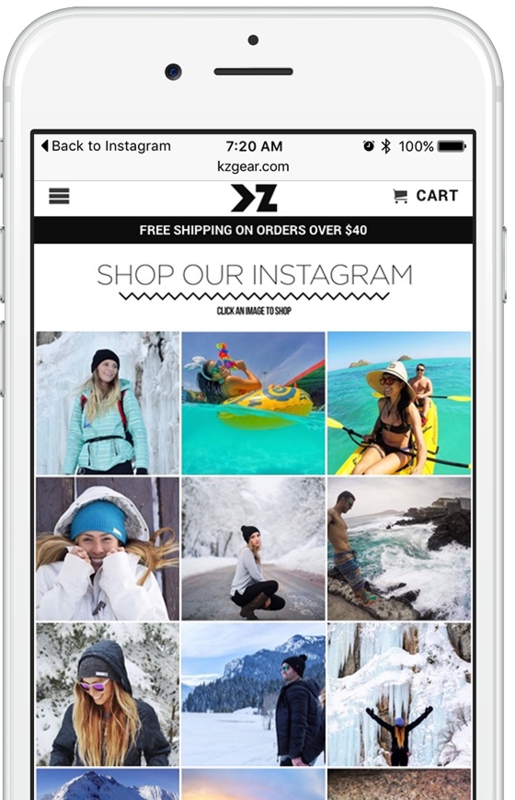 Direct traffic from Instagram to an easy-to-shop gallery. Tag an unlimited number of products featured in the post, no limits. Integrate your galleries into any e-commerce platform or website. Easily change the gallery style with your own templates and CSS. Followers can easily share to Facebook, Twitter, Pinterest, Google&plus;, or Email. We never lock you into a contract or take a cut of sales. Showcase's Basic account is free forever, and you can try all premium features free for 14 days -- no contracts, cancel anytime.